A meeting between New Zealand PM John Key and the Indonesian President Joko Widodo is scheduled to take place on 18 July 2016. According to Mr Key, he will not shy away from discussing Indonesian human rights issue with Mr Widodo, including the need to abolish the death penalty. In a press release, New Zealand’s Green Party MP Catherine Delahunty has reinforced that the deteriorating human rights situation in West Papua must be at the top of the talk’s agenda. John Key’s talks with President Joko Widodo in Indonesia later today need to include a discussion of the deteriorating human rights situation in West Papua, the Green Party said today. 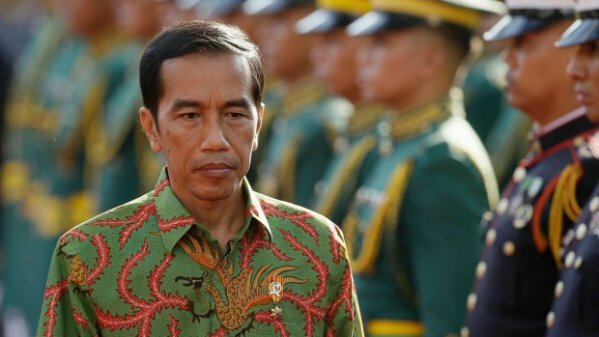 The Prime Minister will be speaking with President Widodo as part of his trade and economic mission to Indonesia, but so far he has refused to confirm whether he will raise the widespread reports of mass arrests, torture and state-sanctioned killings in West Papua. “Today is John Key’s chance to do the right thing and speak up for the West Papuan people whose legitimate concerns are not being heard,” said Green Party MP Catherine Delahunty. “It is positive news that the Prime Minister will be raising the use of the death penalty in Indonesia during his visit, but he needs to take the logical next step and talk about the thousands of peaceful protestors who have been arrested in West Papua over the last few weeks. “John Key needs to act on the human rights principles that New Zealand stands for, and urge President Widodo to stop military and police abuses in West Papua,” said Ms Delahunty. New Zealand has been urged to become a leader in encouraging Asia-Pacific countries to abolish the death penalty, as Prime Minister John Key prepares to raise concerns during a meeting with the country's president about Indonesia's executions. As many as 16 prisoners could soon face Indonesia's firing squad, after a round of executions was suspended until after the Muslim holy month of Ramadan. The Government has been outspoken in the past about the need to abolish the death penalty, with Foreign Minister Murray McCully in 2015 saying New Zealand was "dismayed" by Indonesia's decision to execute two Australian drug smugglers, members of the infamous Bali Nine. Speaking shortly after his arrival in Jakarta, Key confirmed New Zealand's "deep opposition to the death penalty" was among a range of human rights issues he intended to discuss with Widodo. "We say to all of these countries, while we absolutely have sympathy for what they're dealing with, and while those that commit crimes should be held to account, there's better ways of doing it than the death penalty." Amnesty International New Zealand campaigns director Meg de Ronde said Indonesia was part of "a hardened handful" of countries who still had the death penalty, down from over 100 countries three decades ago. Executions were relatively popular within Indonesia, de Ronde said, and Widodo had executed drug traffickers in an attempt to appear tough on crime. New Zealand and other countries needed to put constant pressure on Indonesia if it was to abolish executions, she said. "Pressure from the international community lets them know first of all, it's in breach of international law as far as the process they're following and their judicial system, but also that executions are at odds with the values of many of the countries that they're hoping to trade with." While Amnesty International was "really appreciative" of the New Zealand government's strong stance against the death penalty, de Ronde said it could take on more responsibility in encouraging other countries to change their ways. "One of the important things is that it's not just raised but actually actively advocated, so it would be really useful to see some form of plan for how the Government could take a leadership role in the Asia-Pacific region in eradicating the death penalty." Key said he also wanted to discuss West Papua, the Indonesian province which has been fighting for independence. de Ronde said many Indonesians were in prison for "very problematic offences", such as peaceful political protests or raising a flag of independence. Widodo won election on a platform of respecting and protecting human rights, but he had not lived up to his promises, she said.